The Baltimore Orioles will make history Tuesday when they become the first American professional sports team to feature Braille lettering on their uniforms. 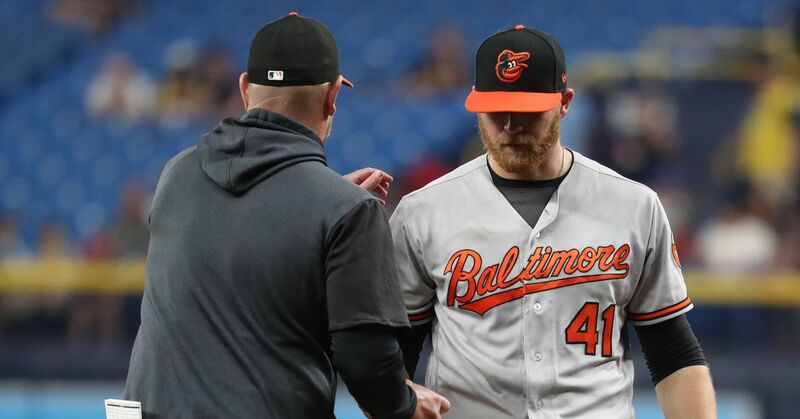 "We've made a conscious effort to create an environment where everyone feels welcome at the ballpark," Orioles Vice President of Communications and Marketing Greg Bader said, according to the Baltimore Sun's Mike Klingaman. "We take our role as entertainer very seriously, but we also want to serve as an escape for some people and as a platform to highlight the causes and morals that we feel strongly about. A 'blindness awareness night' puts it into perspective that there's more going on out there than just wins and losses." Per Klingaman, the jerseys will be autographed and auctioned off online after the game, with proceeds going to the National Federation of the Blind. The federation is celebrating its 40th year based in Baltimore and was established in 1940. The first 15,000 fans will receive Braille alphabet cards upon entry to the game. Baltimore will debut the uniforms against the Toronto Blue Jays at Camden Yards on Tuesday at 7:05 p.m. ET.